“When life hands you lemons, make lemonade.” Or not. Sometimes you’re just ready to squirt lemon juice in your eye so you have an excuse to be crying in the corner. But skip the lemons. There are times when it is perfectly acceptable to wallow in the darkness. 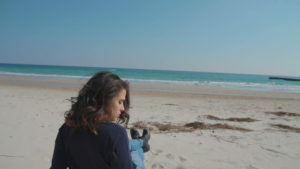 Losing a close friend or family member is painful, sudden, and difficult. You are never ready for them to go, and you suddenly have to figure out how to continue on without them. It is a natural reaction for the people around you to offer comforting words, but this pain is heavy, and you will need time to adjust to it. The permanence of this loss means that the pain doesn’t go away, it merely gets easier for you to bear. Give yourself time to work through the stages of grief. You need this time to heal. Few things hurt like placing your trust in someone only to have them betray it. And there is no real silver lining to such a situation. This person had a privileged position in your life, and now they’ve used that special access against you in some way. The positive image you had of them is forever tarnished, which means you’re also missing a close confidante. It will take time to recover from this damage, even if you choose to forgive that person and continue the friendship. Similar to the previous situation, a lover’s affair is hard to recover from. Even if you part ways with them, your entire sense of trust for others may come into question. Once we have experienced this pain once, there is a tendency to assume we are at fault and that it will happen again in the future. Take extra time to move through your hurt and assure yourself that your true mate is still out there and looking for you. Love is wonderful, and it will be yours in time. If you told the you from 10 years ago what you’re doing now, would they believe it? Do you look at your life today and wonder what happened to your perfect master plan? First of all, this thought process is incredibly common. You aren’t the only one. Maybe you had very lofty dreams of superstardom or millionaire tycoon status. Maybe you got your college degree,and 10 years later you no longer work in that field. It’s OK to let that dream go. It’s not a waste; and you are not a failure. At the same time, letting that dream go is difficult. You are well within your rights to need extra time to process that disappointment. Just don’t spend so much time that you fail to see everything that is great about your current life. Sometimes it is ok to fall apart. What matters is that eventually you pick yourself up and get it back together. Need to connect your love ones? 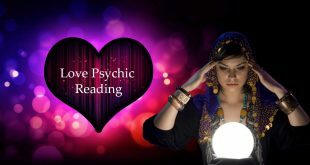 Get help from love psychic mediums.